Free 1TB storage for everybody! Yahoo's acquisition of Flickr in 2005 left countless photographers disappointed with the direction the website was headed, but the new overhaul seems to be a wonderful response to the long-suffering question, "why doesn't this work the way it's supposed to?" I haven't had a chance to check out all the new features in depth yet, but I like what I've seen so far. Alright, back on the rails. Literally. New York's MTA controls all New York City subways along with the rail lines that link Connecticut to the five boroughs. Their Flickr feed is incredible, offering photos of everything from nostalgia trains and special events to construction projects and some harrowing first-hand photos of the fallout from Hurricane Sandy last fall. 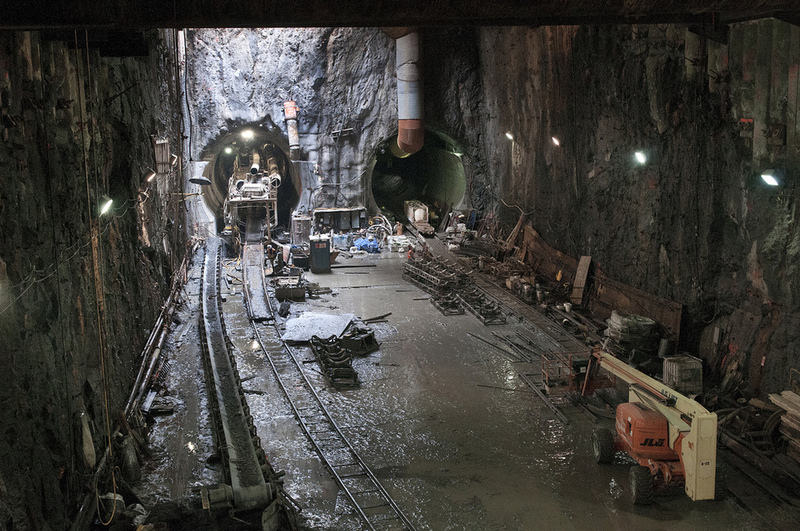 I've put together a photo gallery of some amazing Second Avenue subway construction photos, which some appropriately refer to as The Line That Time Forgot. Conceived in 1929, progress on the Second Avenue subway had been halted many times due to the Great Depression, World War II, and a stumbling economy. It appears that real progress is finally being made, and MTA's Flickr feed offers definitive proof. Seen here on the right, the 8.5 mile subway line will run from 125th Street in Harlem south to Hanover Square in the Financial District of Lower Manhattan, and will be designated as the new turquoise T line. Phase 1: 96th St. to 63rd St. Phase 2: 125th St. to 96th St. Phase 3: 63rd St. to Houston St. Phase 4: Houston St. to Hanover Sq. With Phase 1 expected to open to the public in December 2016, it's far too early to definitively predict the completion date of the full line, but the fact that so much progress is being made in the first phase is certainly encouraging right now. As you look through the photos below, it can become easy to forget that these enormous caverns lie just 100 feet below the bustling streets of Midtown Manhattan, working their way through a spaghetti maze of existing subway lines and tunnels that are constantly abuzz with traffic. Next time you walk through Midtown, take a moment to think about the flurry of activity happening right below your feet. 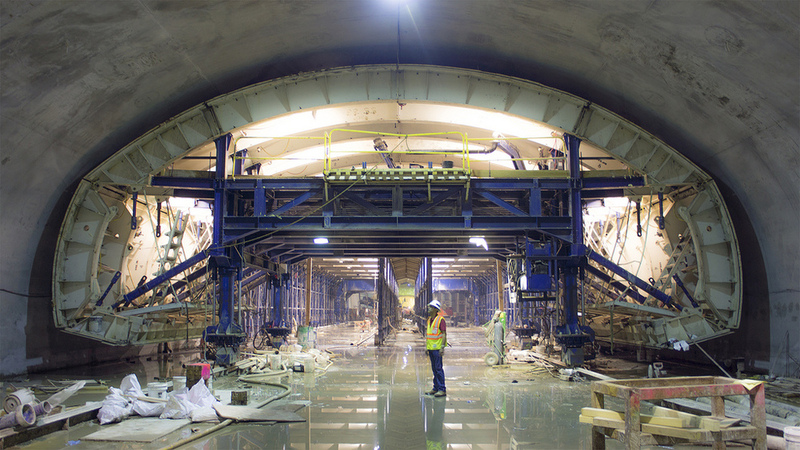 For now, enjoy some construction photos from a transit authority that does a great job using technology to maintain a unique digital presence.